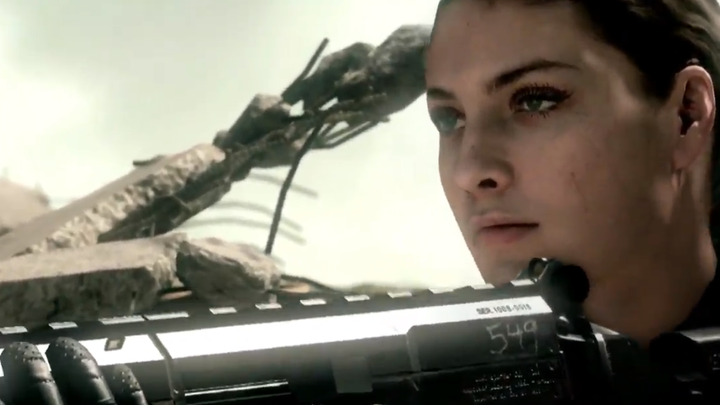 The multiplayer for the upcoming Call of Duty: Ghosts was revealed earlier today along with a slew of new features new to the series. The reveal trailer was accompanied by the debut of Eminem’s new song, “Survival”, which will be featured throughout the game and its marketing. First and foremost, Activision showed off the customization of soldiers in the game. The player can now customize their own character 10 times to create a squad. This customization includes helmets, armor, and, most importantly, gender. Of course, class customization is also vital to the game’s multiplayer, and Ghosts has taken the Pick 10 system from Black Ops 2 and combined it with Modern Warfare 3’s class customization system. The class has a limited amount of points for the primary and secondary weapons, although attachments to weapons are now considered free. This is also separate from the perks system, which allows a certain number of points solely allocated to selecting perks. The game also comes with 7 new multiplayer modes, although only 2 of them were shown today. Cranked is a modified version of Team Deathmatch, having every kill make a player faster. However, the player must then get a kill within 30 seconds or else explode. Search and Rescue combines Search and Destroy and Kill Confirmed. It gives the player one life, but they drop dog tags when they die. Teammates can pick up these dog tags to give the player another life, or they can be collected by the enemy to eliminate that player for good. Squad vs. Squad has the player matched up 1v1 with the customized squad as teammates. This also reveals the new AI system for Call of Duty: Ghosts, that has the AI acting as much like humans ever seen in the franchise. Wargame is a solo mode that has the player pick 5 squadmates to go into battle with against an AI-controlled team, playable in any game mode. Safeguard is reminiscent of Survival from Modern Warfare 3, as you are fighting waves of enemies with 3 other players. Finally, Squad Assault has the player with up to 5 friends or 5 squadmates face off against a squad from someone else around the world. Along with the new Squads mode, there is also a new “Clan Wars” mode. This has clans from around the world face off in a two-week “war” that has the clans battling for areas around a territory. These areas are each controlled by a different game mode, which are fought for in a series of battles. The clan gains points for each win, and the team with the most points at the end of the two weeks wins the war. Also announced at the reveal event was the inclusion of mobile integration. This lets the player check their stats anywhere, see the results of a clan war, or change a class on the go. The audio in the game is improved from previous games in the franchise, having characters shout out locations of enemies and changing sounds depending on location. Ghosts also introduces dynamic maps with changing environments and choke points. Three of Ghosts’ fourteen multiplayer maps were shown at the event. Octane has teams spawn on either side of a road which has crashed cars along the way and buildings lining the road. Strike Zone takes place in a war-torn baseball stadium. 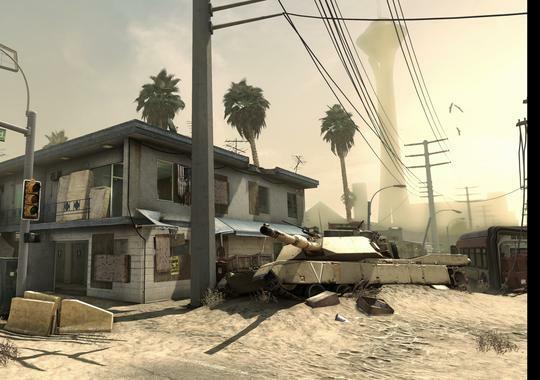 It is a small map with frenetic firefights indoors and some larger exterior areas. Finally, Whiteout is set in a snowy harbor town. It has verticality and smaller choke points with frenetic firefights as well. Finally, the game introduces some new gameplay mechanics as well. Knee sliding has the player slide into a crouch, avoiding headshots and going into cover. Leaning out of cover has the player peek around a corner without moving, and being able to kill without going into the open. The game also introduces a new weapon class, called Marksman, that bridges the gap between Sniper Rifles and Assault Rifles. Call of Duty: Ghosts is set to release on November 5 on the PS4, PS3, Xbox One, Xbox 360, PC, and Wii U. What did you think of Ghosts’ multiplayer reveal? Let us know in the comments section below! PI!